There is much more to a Gozo Channel bridge than its financial cost calculated in euros. There are also social and environmental costs. The proposal to link Malta and Gozo permanently has been around for ages. It involves connecting the islands such that there are no physical obstructions to proceed from one island to the other. Gozo’s connectivity is a serious matter. Yet Gozo’s double insularity may well be its greatest asset which has been misunderstood and ill-used throughout the years. The improvement of existing transport links by introducing more efficient means or through alternative means of transport is one way of looking at the channel crossing-challenge. Almost all alternatives have been tried out in the past. 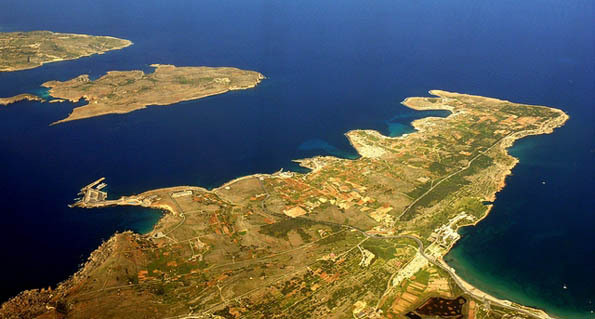 Fast sea links linking Mġarr Gozo directly with a central location have been tried and subsequently discontinued. Alternatively, air links through the use of amphibious small planes and helicopters too have been tried. Will Gozo be better off if it is permanently linked to Malta? I think that those insisting on the bridge or the tunnel genuinely believe that because they themselves may be better off everyone else will possibly be better off too. Reality, unfortunately, is considerably different as with a physical link between Malta and Gozo there will be both winners and losers. The process leading to a decision has to be both honest and transparent if it is to be of any help. It has to be honest as it has to consider all the anticipated impacts of each proposal under consideration. Improved connectivity for industry to deliver goods produced in Gozo to Malta and elsewhere also signifies improved connectivity for working men and women living in Gozo and working in Malta. This could suggest that there may then be no more scope in locating industry in Gozo as the labourforce would easily access their working place. To date, providing work for Gozitans in Gozo has been an important social and political objective. If a physical link materialises this may no longer be so. Gozo will then be a locality just like any other in Malta. Double insularity, if ditched by choice, will no longer be able to justify subsidies and incentives to lure industry to Gozo. Double insularity will no longer be justification for EU regional development funds as it will no longer exist. What purpose then for the projected Gozo office in Brussels? What about the impacts on the tourism industry? Tourism policy relative to Gozo has always focused on Gozo as the destination with a difference. Gozo’s potential as an eco-tourism destination has been occassionally tapped. Diving is a well-developed niche market for eco-tourism in Gozo. Agri-tourism in Gozo has substantial potential, which is to date largely untapped. These are issues whose potential could and should have been developed within the context of the eco-Gozo project. Unfortunately, this project has been hijacked by those who, after plagiarising the idea from Alternattiva Demokratika used it as a slogan and ignored it as a vision. The contribution to tourism of cultural activities such as opera performances in Gozo is not to be underestimated. Such cultural activities contribute substantially to the viability of hotel operations in Gozo through the generation of revenue in the winter months. The introduction of a permanent link will undoubtedly increase the potential audiences for opera and other cultural activities in Gozo. However, with a bridge or tunnel in place, the use of hotels in Gozo will not be required by opera enthusiasts as they would be in a position to drive back home immediately. This has already been evident when Gozo Channel increased its trips through the introduction of late night trips. In addition one has to consider environmental impacts. Impacts on protected marine areas in the Gozo Channel would be substantial. Add visual impacts in the case of the bridge or over two million cubic metres of excavated material in the case of the tunnel. And what about the geological features of the Gozo Channel? As the area is riddled with geological faults, the first logical step is obviously a detailed geological examination of the area. But what is obviously a logical first step seems not to have been given due weight. Alternattiva Demokratika – The Green Party in Malta advocates a different line of action. A connectivity strategy for Gozo considering in detail all the different options is to be drawn up. After subjecting it to a Strategic Environment Assessement in line with the EU environmental legislation such a strategy should be subject to a public consultation, not just with the Gozitans but on a national level. Taking into consideration all impacts would ensure that the decison taken is a sustainable one. Not in the interests of one specific sector but in the interests of all. Resurrecting (the real) eco-Gozo in the process would not be a bad idea. Reggħet bdiet id-diskussjoni dwar il-konnettivita’ ta’ Għawdex. Bridge jew mina? Ajruplan jew ħelikopter? Ajruplan li jtir mill-baħar (amphibian) jew wieħed li jtir mill-art? Kull proposta li saret għandha l-merti tagħha. Kull waħda tindirizza xi aspett partikolari tas-sitwazzjoni Għawdxija. Ma ngħidx problema apposta, għax il-qagħda attwali m’hiex problematika għal kulħadd. Uħud iħarsu lejn is-sitwazzjoni preżenti bħala waħda problematika. Oħrajn iħarsu lejn is-soluzzjonijiet proposti bħala l-problemi reali. Il-mistoqsija li ftit qed jistaqsu hi jekk il-qagħda attwali hiex waħda ta’ benefiċċju għal Għawdex. Jiġifieri l-fatt li Għawdex hi gżira maqtugħa għaliha waħeda hu ta’ ġid jew ta’ ħsara għal Għawdex? Rajt kumment wieħed biss f’dan is-sens online. Korrispondent Irlandiż li jkun spiss Ghawdex ikkummenta online li l-insularita doppja ta’ Għawdex hi iktar opportunuta (asset) milli problema (liability). Ovvjament mhux kulħadd jaqbel ma dan. Imma hemm setturi bħat-turiżmu f’Għawdex li huma mibnija prinċipalment fuq din il-karatteristika Għawdxija. Għawdex bħala gżira għandha diversi karatteristiċi li jagħmluha unika bħala destinazzjoni. Bidla li telimina din il-karatteristika tidfen għal kollox l-identita’ unika Għawdxija. Għawdex b’kuntatt dirett bħall-bridge jew mina ma jkun xejn differenti għat-turist mis-Siġġiewi, miz-Żurrieq jew minn Marsaskala. Dan jista’ jeffettwa sostanzjalment l-industrija tat-turiżmu b’mod partikolari l-lukandi f’Għawdex. Min-naħa l-oħra l-industrija tal-manifattura għandha bżonn aċċess immedjat għas-swieq tagħha u f’dan is-sens kuntatt dirett bħall-bridge jew mina jista’ jkun soluzzjoni kemm għall-industrija li hemm illum ġewwa Għawdex kif ukoll għal dik li tista’ titħajjar tibbaża ruħa f’Għawdex għada. L-istess jgħidu l-istudenti u dawk li jaħdmu f’Malta. Il-konsumatur Għawdxi jieħu pjaċir b’aċċess dirett bħall-bridge jew mina għax tinfetħilhom l-għażla b’aċċess dirett u immedjat għall-ħwienet fit-tramuntana ta’ Malta. Imma naħseb li ħafna minn dawk li huma fil-kummerċ f’Għawdex ma jaħsbuwiex l-istess. Is-soluzzjoni iżda m’hiex waħda li noqgħodu nfajjru l-proposti fl-ajru. Is-soluzzjoni tinstab fil-kalma u l-ħsieb, mhux kwalitajiet komuni ħafna fost dawk li jieħdu d-deċiżjonijiet f’dan il-pajjiż – kemm dawk tal-lum kif ukoll dawk tal-bierah. Ikun ahjar li flok mal-Gvern jiffoka fuq proposti individwali jara l-istampa kollha tal-konnettivita ta’ Ghawdex u l-impatti socjali, ambjentali u ekonomici b’mod olistiku. Jeħtieġ li niżnu sew l-affarijiet. Li naraw l-istampa kollha. Il-Gvern tal-lum bħall-Gvern tal-bieraħ jaqbad il-problema minn sieqha. Flok ma jkunu indirizzati waħda waħda, s-soluzzjonijiet taħt konsiderazzjoni għandhom ikunu kkunsidrati flimkien u dan fil-kuntest ta’ Pjan Strateġiku li jindirizza l-konnettivita’ tal-gżira Għawdxija u l-impatti soċjali, ekonomiċi u ekoloġiċi ta’ kull waħda mill-proposti. Ma jaghmilx sens fil-kuntest tal-politika regjonali tal-Unjoni Ewropeja l-Gvern Malti jipprezenta posizzjoni u jinsisti għal fondi addizzjonali minħabba l-insularita’ doppja u li imbagħad mingħajr konsiderazzjoni tal-impatti (ekonomiċi, soċjali u ekoloġiċi) jagħzel li jelimina din l-insularita’ doppja b’għaqda fiżika bejn il-gżejjer. Għandu jkun innutat li l-politika tat-Turiżmu għal Għawdex hi bbażata fuq l-insularita doppja tal-gżira Għawdxija u li l-għaqda fiżika proposta tista’ tfisser id-daqqa tal-mewt ghat-turiżmu f’Għawdex. Pjan Strateġiku ta’ din ix-xorta wara li jkun eżaminat skond il-proċeduri stabiliti mid-Direttiva tal-Unjoni Ewropeja dwar il-Valutazzjoni Strateġika Ambjentali (Strategic Environment Assessment Directive) għandu imbagħad ikun soġġett għal konsultazzjoni pubblika mhux biss f’Għawdex iżda fuq livell nazzjonali. Għax anke Għawdex, tagħna lkoll. Mela Chris Said u Franco Mercieca kienu qed joħolmu bil-mina. Issa Refalo reġa’ ħolom bil-pont. 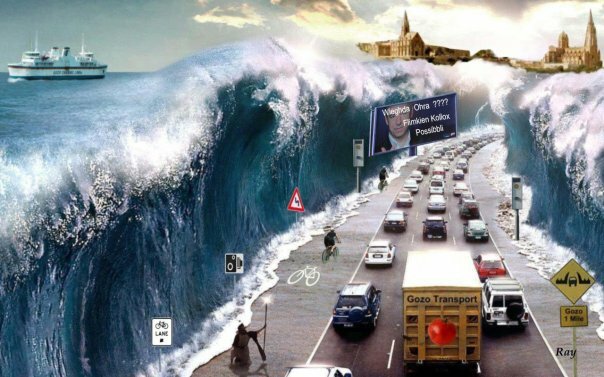 Fl-istess ħin li Anton Refalo qed joħlom b’dan l-imbierek pont (ħolma li ilha għaddejja ħamsin sena) jgħidilna li jrid jiftaħ uffiċċju ta’ Għawdex fi Brussels biex jiddefendi id-drittijiet ta’ Għawdex. Id-drittijiet tar-reġjun. Mela b’id waħda jippontifikaw bl-insularita doppja li tiġġustifika għajnuna reġjonali għal Għawdex għax bħala gżira hu maqtugħ għalih waħdu. Min-naha l-oħra iridu jeliminaw din l-insularita’ b’link permanenti. B’żieda ma issues ambjentali u spiża madornali mhux ġustifikabbli jidher li hemm problema ukoll ta’ konsistenza politika.